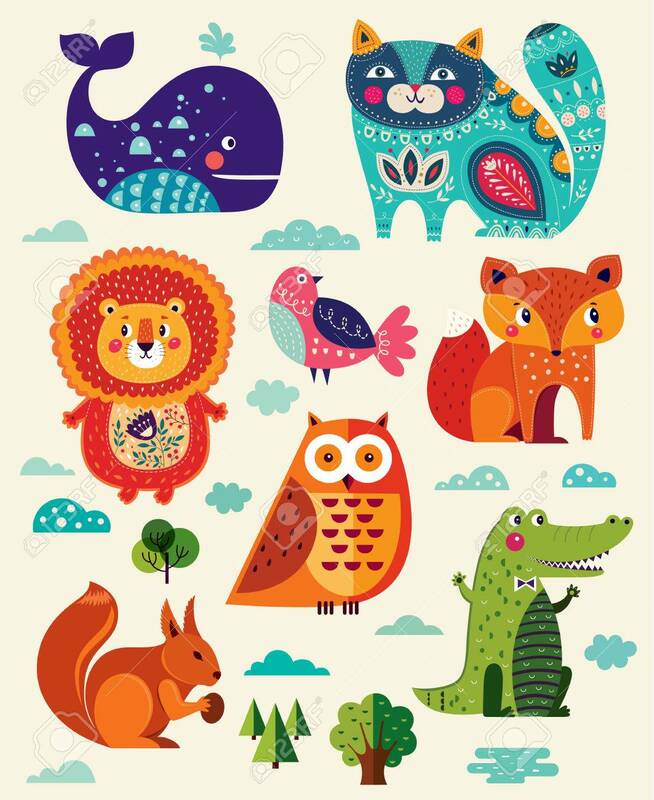 Perfect Vector Set Of Illustration In Cartoon Naive Style With Funny Animals And Birds. Royalty Free Kliparty, Vektory A Ilustrace. Image 54336073. Reklamní fotografie - Perfect vector set of illustration in cartoon naive style with funny animals and birds.